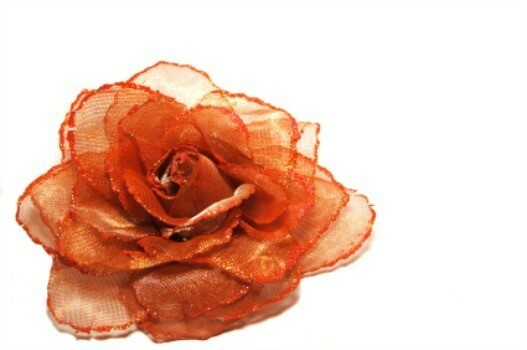 Recycled nylons can be used to make beautiful flowers to decorate your home. This is a guide about making flowers from nylons. I am interested in having patterns for making the nylon stocking flowers. Does anyone have one? If interested, I have instructions and can scan and email them to you. If u do not understand them (although simple), we can email back and forth as for me to help u. I made a lot of these, they are quite elegant. Let me know, please. I got my supplies and instructions from www.newsheer.com, they have many free e-books and videos online. I would like to have some patterns for nylon flower making please. Any of you remember how to make flowers and leaves out of dyed nylon hose? We used to make them in the 1940s and 50s. I would like to make some. Thank you! They have free online instructions for making different types of flowers. Where can you order this material? Different colored nylons, gold or silver wire, green floral tape. Cut nylon and fit around wire, then twist. Continue until you have a complete flower. Make sure this is attached to a wire stem that is covered with floral tape. Make a lovely bouquet! If you would like to learn how to make all the beautiful flowers and butterfly, please visit this website. It provides free step-by-step instructions and sells all materials you need to make nylon flowers.